Lemon and Elderflower Cake is a showstopper and celebratory cake of 2018. This is one showstopper cake, with fresh flowers adorning the cake. My best ever cake that I baked for 2018! 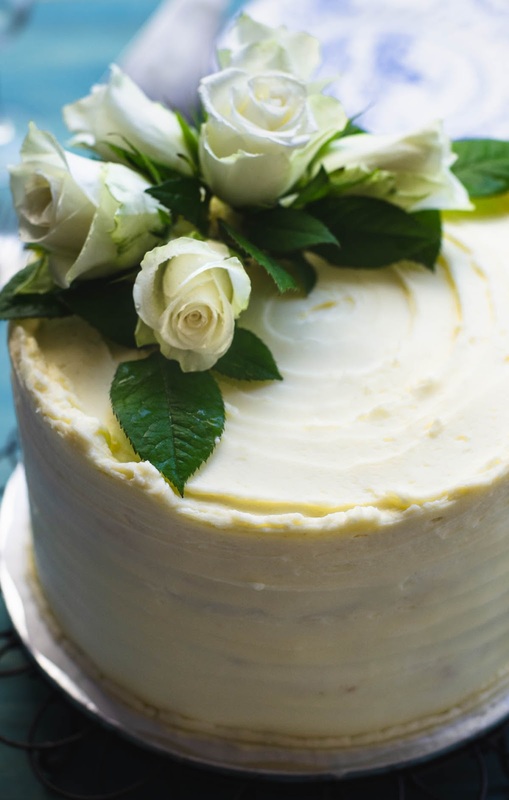 Lemon and Elderflower Cake, a copycat royal wedding cake of the Duke and Duchess of Sussex, baked by Claire Ptak for the occasion. 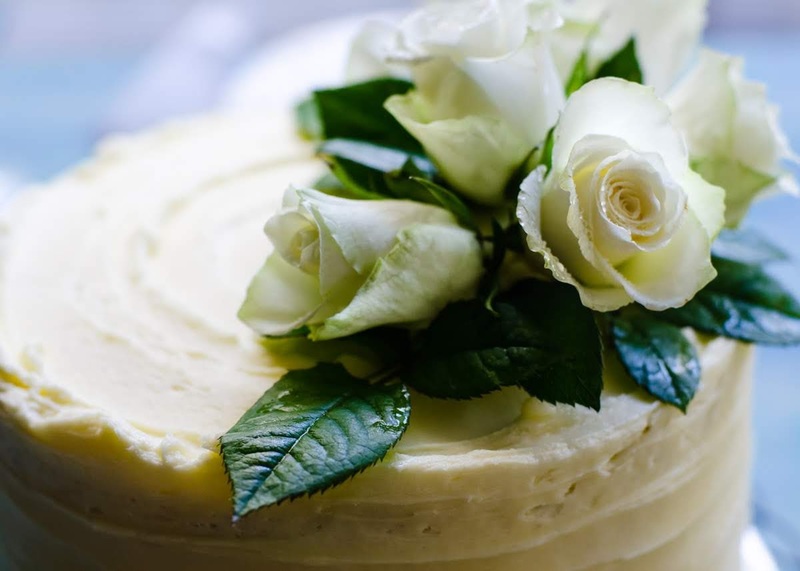 Since this is a copycat royal wedding cake, I took the liberty to decorate my Lemon and Elderflower Cake with fresh white roses. 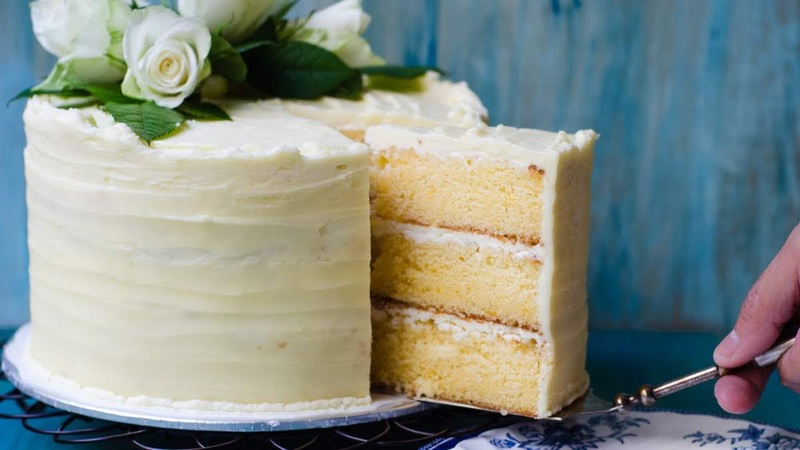 I did a google search for this gorgeous Lemon and Elderflower Cake, and of course, it was a trending cake to bake in the second quarter of the year, from April to June, due the royal wedding. 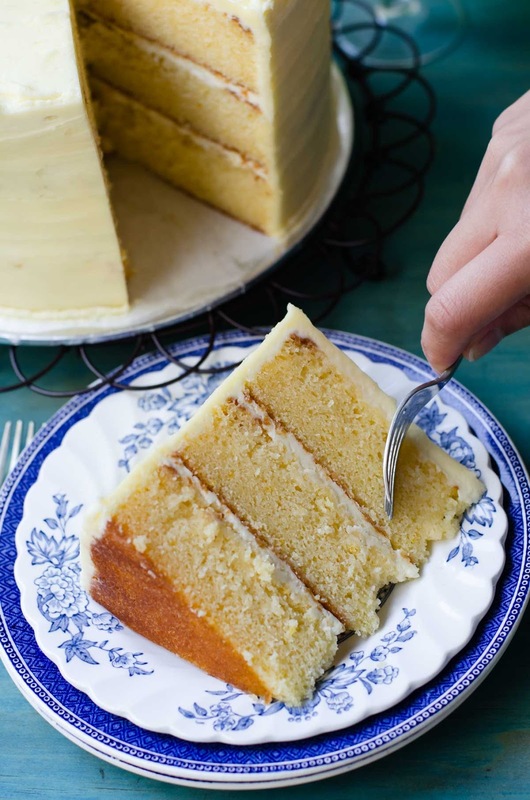 But one blog that popped up into view, she was not on the first page of google search but she baked this beautiful Lemon and Elderflower Cake way back in 2015. Louise of Cygnet Kitchen, baked a beautiful Lemon and Elderflower Cake with mascarpone frosting. For my Lemon and Elderflower Cake, BBC food is my recipe source (with some tweak here and there). The flavours of elderflower and lemon goes so well together. Again, I have to say... this Lemon and Elderflower Cake is best cake I have ever baked and ever tasted, even my daughter, who is not into 'cakes' loved the exquisite taste of elderflower marrying lemon. Even my week long hard laboring over her 'pretty' Honey and Raspberries Entremet birthday cake comes second! The recipe requires a small amount of elderflower cordial, right! Worry not! 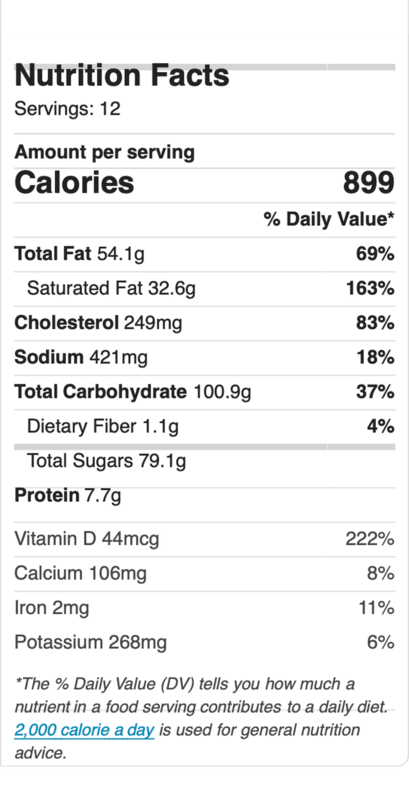 You will definitely enjoy some fizzy elderflower drink. Just mix some elderflower cordial with carbonated mineral water. 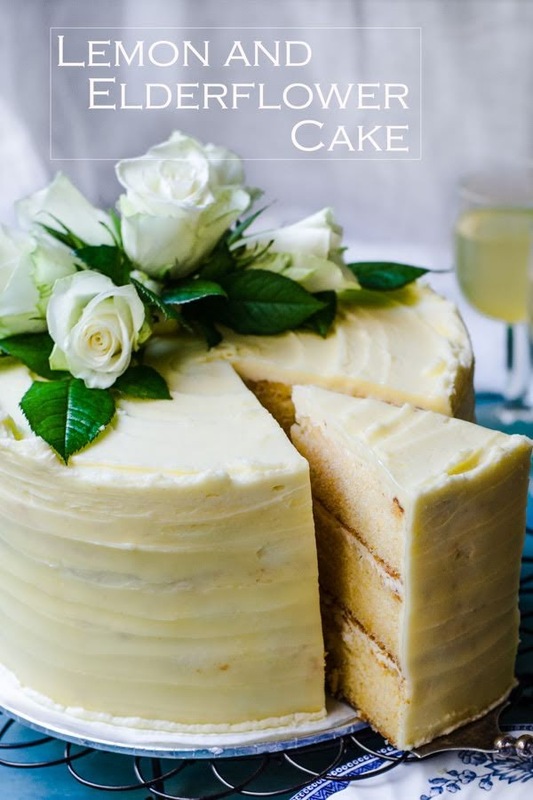 Apart from the awesome taste... second reason as to why I like about this Lemon and Elderflower Cake... no pretentious frosting is needed here (if you have been following me... you will know that frosting a cake is definitely not my forte!! Frosting a cake frustrate me). Since the theme is floral, I gladly hide my frosting imperfections with flowers. Do take note, any which way you can.. do get flowers that are not sprayed with pesticides or insecticides. Any how.... give this Lemon and Elderflower Cake a try and you will definitely be baking them again. 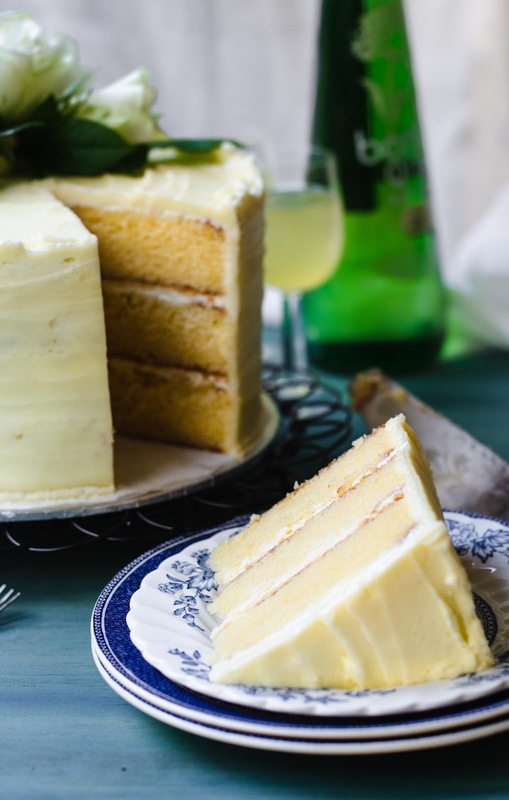 For those who wish to bake copycat Lemon and Elderflower Cake, you can find elderflower cordial in the cordial aisle of Woollies or Coles (Australia). 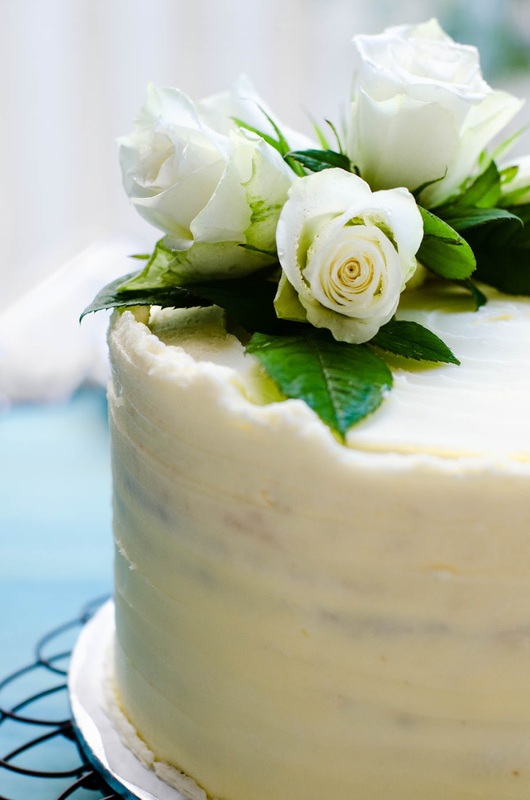 Showstopper and celebratory cake: Lemon and Elderflower cake. Perfect for weddings and birthdays. Add salt and lemon zest. Add egg one at a time. If the mixture curdle, add 1 tablespoon of flour. Fold in flour mixture. almond meal and elderflower cordial. Divide equally to 3 baking pan. Transfer the pan onto wire rack. Use skewer or toothpick and prick holes all over the cake. Mix lemon and elderflower cordial and drizzle all over the cakes. 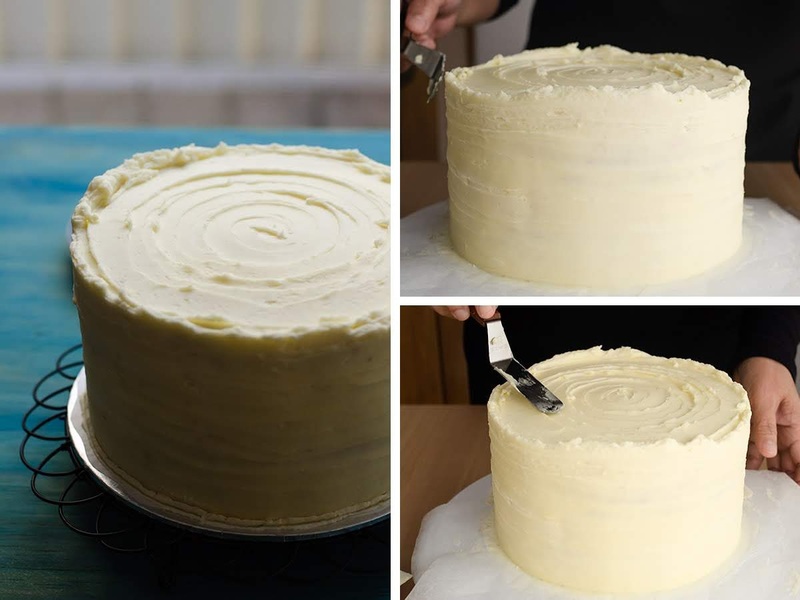 Spread the buttercream (steps below) on each cake. 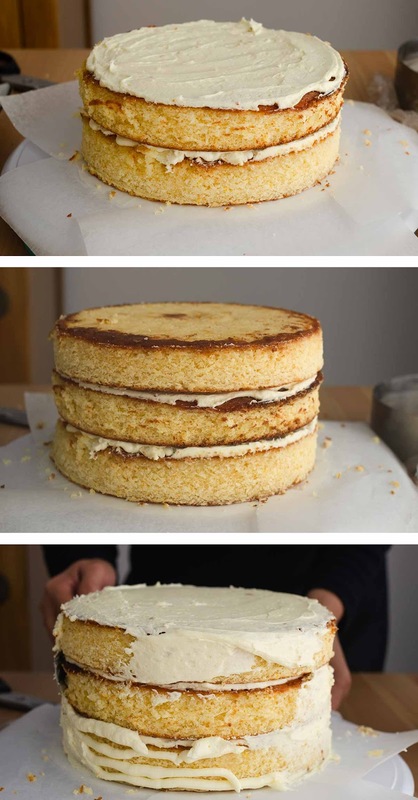 Stack cakes into 3 tiers and spread butter cream over the tops and side. Add icing sugar in stages and beat till light and fluffy.